Algernon D’Amassa is wrong by saying Hurricane Harvey was made worse by humans, mentioning sea level rise, warmer seas, and stronger storms. No data show that Hurricane Harvey was made stronger by the use of fossil fuels; in fact, ready availability of, and use of, fossil fuels made a dangerous storm less so, as explained below, comparing Harvey with Galveston’s 1900 Hurricane. 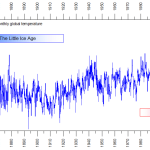 There are dozens of tide gages having records over 160 years long; none show a change in rate of sea level rise from using of fossil fuels. Ramblings of D’Amassa, the Guardian, and others who write before checking data readily available from Google search show ignorance and political leanings, not scholarship. Seas warm from sunlight, not more atmospheric CO2. Both Harvey and Galveston’s 1900 hurricane came from the Gulf of Mexico, both were late summer storms, both were Category 4 storms on landfall, both impacted Texas’ Gulf Coast. When Galveston’s hurricane came onshore, maximum winds were 145 MPH and CO2 was 294 Parts per Million, PPM. The estimated human loss of life was 8000-12,000 people. It’s frequently cited as the worst natural disaster to befall the US, with loss of life greater than from all subsequent hurricanes combined. When Harvey came ashore on 25 August 2017, it was weaker, maximum winds were 132 MPH and CO2 was 407 PPM. As I write, the human toll is about 47. When Galveston’s hurricane approached, the duty meteorologist saw the steep pressure fall and rode his bicycle among the beach crowd warning by voice of the Hurricane’s approach. The storm surge was 15 ft, but Galveston was only 8 ft above sea level; Galveston was destroyed. Days later a ship passenger arriving in Texas City telegraphed the Texas Governor and US President the catastrophe’s magnitude. Cleanup photos show workers piling bodies on horse-drawn wagons. When Harvey formed and approached the Texas Gulf Coast, weather satellites, launched from fossil-fueled rockets, and on orbital duty, had been imaging the storm for days. 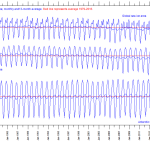 Satellite signals were received and analyzed using computers and communications available to the National Hurricane Center and other weather forecast organizations. The entire country knew Harvey was about to strike the Texas Gulf Coast. TV crews broadcast Harvey’s arrival, programs were viewed by millions of citizens watching television from comfortable, electrically-powered homes; millions of text messages were sent electrically by people, family and friends describing the situation. Rescue craft were able to airlift the afflicted: by Air Force C-130 Hercules, by Army Blackhawks, by Coast Guard choppers, by high clearance trucks, and fishing boats piloted by volunteers, all using aviation, diesel, and outboard fuel mix, and all fossil-fueled. Harvey’s 3-day storm total is 51 inches, hardly a record-setter when compared with Alvin, Texas’ 1-day 1979 record of 43 inches, but maybe they’ll carve out a new category for Harvey. Alvin’s just down Texas 35 from Houston; the location of the 51-inch total is only 25 miles northeast of Alvin. While headlines scream new records, old records show that this area frequently gets similar flooding rains. Houston’s Buffalo Bayou has a USGS waterflow station; it’s near that dip in I-10 where I-45 crosses I-10. In December, 1935, Buffalo Bayou’s maximum water depth was measured at 54.4 ft. Harvey’s maximum streamflow was only 38 ft; so much for fossil fuels making flooding worse. 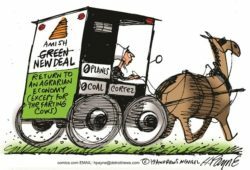 One wonders if Algernon D’Amassa pines for those days when horse and wagon were used for victim retrieval; I prefer today when fossil fuels provide inexpensive electricity and on-demand energy to power rescue and relief. Fossil fuels have made a dangerous world safer for us all.